Made of cow hide leather, this utility kilt for men is made to measure, so you are assured that it will fit you. It has removable pockets, so you can change the style whenever you want. 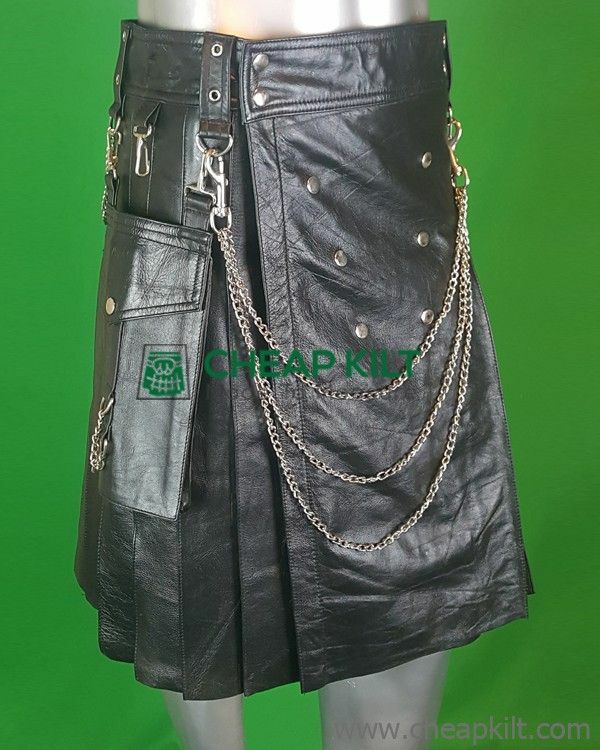 The kilt is knife pleated and has 2.25" belt loops, allowing you to adjust the kilt with ease. It also has fashion chains, which improves the stylish appeal of the kilt.